From next month, Google will be putting more pressure on web publishers to improve the quality of their adverts. Those failing to do so could see all adverts on their website blocked by the Google Chrome browser (the most popular in the world), making for a potentially huge loss in revenues for those that rely on advertising as their main form of income. "Starting in December 2018, Chrome 71 will remove all ads on the small number of sites with persistent abusive experiences," said Google product manager Vivek Sekhar. "Some of these abusive ad experiences are used by scammers and phishing schemes to steal personal information." The Chrome 71 browser will look to take on malicious items like fake system dialog boxes, click-capture overlays and undesirable redirect pop-ups in an effort to improve the experience of those browsing the web, with the revenue hit designed to pressure web masters into tidying up their acts. 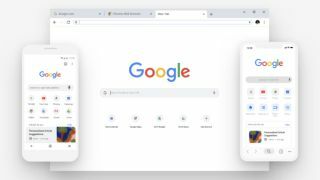 It's the latest in Google's ongoing attempt to make web browsing through Chrome a safer experience – since January 2018, Chrome has been forcing redirect pop-ups into the browser's info bar, giving users a chance to decide whether they truly want to head off to different content. It also offered site owners an "Abusive Experiences" tool, allowing site users to file complaints against repeatedly obstructive advertisements. However, "this approach did not go far enough," according to Sekhar. "In fact, more than half of these abusive experiences are not blocked by our current set of protections, and nearly all involve harmful or misleading ads." Google will offer 30 days for site owners to prepare for the change before the new system comes into place, while Chrome users will, in respect to user choice, be allowed the option to still see these dodgy adverts should they choose to do so. As for Google, which makes somewhere near to $100bn in ad sales per year, it's not expecting to see a big drop in revenue itself, as it's already policing the sort of adverts it serves in line with its new guidelines.